Princess Snow White is carrying a baby in her womb and she was taking rest for quite some time that her room amassed lots of garbage, cobwebs and other rubbishes. 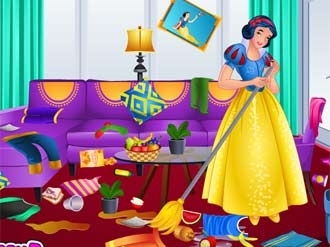 Snow White can tolerate such a big mess in her room and therefore, she has decided to clean it up today. 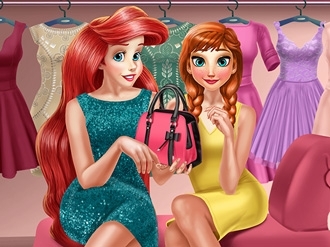 Snow White cannot bend to pick up the dresses and rubbishes; hence you need to help her in collecting the dresses which are lying around in the room. 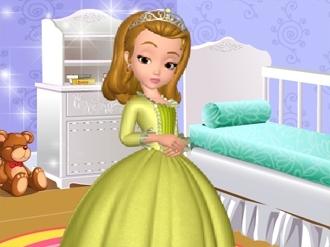 So start cleaning up the room along with Snow White in this room cleaning game. Have fun! Princess Amber is a beautiful girl and very elegant. As spring came, Amber wants to make some changes in her room. Use your skills of Home Interior Designer and make Amber, happy! Have fun decorating!